Yes, the rumors are true - Blankets & Wine is back! 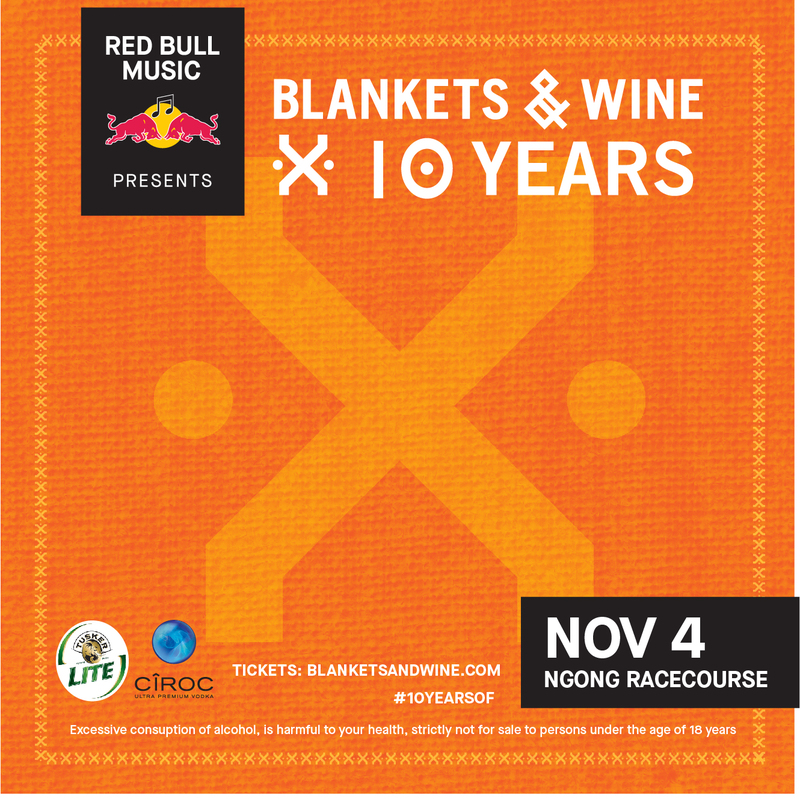 We are glad to announce our Special Edition 10th Anniversary brought to you in partnership with Red Bull Music. It's hard to believe it has been a decade of the best in live music, fun, friendship, day drinking and the ultimate Nairobi Sunday plan, but that really is how long we've been vibing together. This November we'll be celebrating all that is 100% Kenyan and how far some of your favourite artists have come in the last 10 years. Grab your early bird tickets at 2000 KES (only 1000 of them available!) and advance tickets thereafter at 3000 KES.